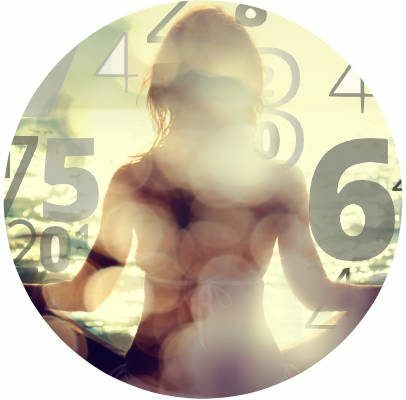 September 2016 – Key Numbers & Lucky Dates For This 9 Universal Month Of Cosmic Love! September’s powerful 9 Universal Month of transformation, release and cosmic love also ensures that every day has a greater impact than any other month this year. That’s because, every day in September, 2016 carries a double code. Since 2016 is a 9 Universal Year, we’re in a month now when the energetics ripen to a major crescendo of breakthroughs and pivotal AHA moments. On Tuesday, September 6 a double 6 yod infuses your day with a flood of love. Combining both the numbers 9 and 6 integrates human love with divine love for an extraordinary day of compassion – being touched on every levels by love. September 7 is an especially potent day in the stars. The Sun trines Pluto adding more intensity and passion to an already powerful code this month. This is a wonderful aspect for creating positive transformation and move forward in your life with confidence. Study the mysteries today… look at the stars, ponder your origins and connect to the universal flow of timelessness. Also today, the Sun sextiles Saturn which increases your desire for partnership. This is a beautiful day to feel valued and loved – and commit deeply to a relationship. September 9 is a 9 Universal DAY. 9.9.2016 is a 27/9 Universal DATE. September this year is an 18/9 Universal MONTH. 2016 is a 9 Universal Year. And of course, September is the 9th month of the year too! This creates a powerful opportunity for you to feel the most comprehensive compassion there is – the deepest humanitarianism, the deepest love, the most unconditional spiritual forgiveness and kindness and wisdom and integrity. On September 10, Saturn squares Neptune – a transit that defines all of 2016. Since Thanksgiving in November 2015 you’ve learned a lot and now the universe is checking in to see if you’re divine promise, you’re divine Mission is being manifested. September 11 brings another major astrology event – Venus square Pluto. You’re being called to see clearly how you empower yourself within any relationship. If you are controlling your partner or that person is doing that to you, you want to really find that balance now between love and abundance vs. the overpowering and manipulation. Understand the fine line between being passionate and being possessive and you will create miracles in abundance and love. September 12th brings two powerful transits (yes, it’s an intense month of transformation!) – the first is Mercury retrograde squaring Mars – triggering a strong yearning for independence. Be careful not to rush into things and coming to conclusions quickly today. Be creative to diffuse the powerful energy and direct it in your favor! The second transit today is the Sun conjunct Mercury Retrograde allowing you to communicate more easily. This adds a good balance to a major day of communication and retrospection. September 16 brings the second of three consecutive eclipses – the final important moment in a month of extraordinary shifts. This is a FULL Moon Lunar eclipse in Pisces (a water sign aligned with Cancer and Scorpio) – generating transcendent healing experiences. An eclipse of this magnitude WILL change your life in some form. Go back to September 1… What was going on in your life around the New Moon Eclipse? Now you are experiencing release and healing. You are coming full term with the dramatic changes that have infused your life since August. Uranus, the planet of sudden shifts and the future is forming a beautiful trine to Mars. This is great news – after the September 1 Solar eclipse we now have a harmonious energy that is accelerating breakthroughs in a very positive way. 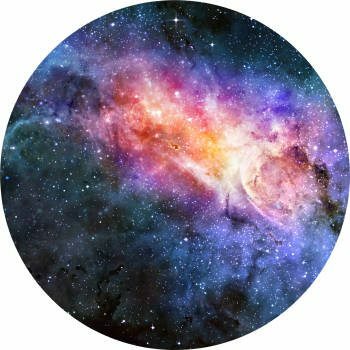 If you have been experiencing major growth experiences in the last week, you will now be able to deeply connect the they mystery and healing (Pisces/Virgo axis) of the major transformation sweeping through your life at this major junction in time. Trust in the divine order of the universe. The final extraordinary moment in these two pivotal weeks of the year happens on September 18 when Uranus is opposite Venus – so beautiful! Any opposition you may have felt in the previous two weeks is now brought into balance. It signals a shift in your love life and a positive shift in your financials. This is a very exciting transit and it happens on the second of three 9-9-9-9 Days! So this makes the astro-numerology code even more powerful. Have a wonderful two weeks in this most amazing month of shifts and changes.